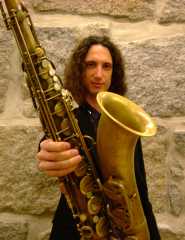 NEWS: Doubling on Woodwinds by Mario Cerra. NOW AVAILBALE FOR SALE!!! Doubling on Woodwinds was envisioned as a work plan for woodwind players that allows for a more efficient daily practice of their doublings. Whether your primary instrument is flute, clarinet or saxophone, this book will help you improve your skills with each instrument. It is an efficient and organized method, which saves time and provides tangible progress. 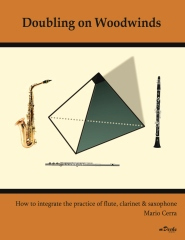 If you are a woodwind instrumentalist interested in starting to develop your doublings, or if you have been trying to improve your doublings without success, this book is what you need. Woodwind players are expected to be proficient with multiple instruments in the family, and the process of getting acquainted with them is often more tedious and cumbersome than it need be. This book is not intended to replace traditional method books for each of the instruments, but rather to complement them. My intention is to integrate the practice of several instruments and turn that into the learning process of one larger subject: the woodwind family. 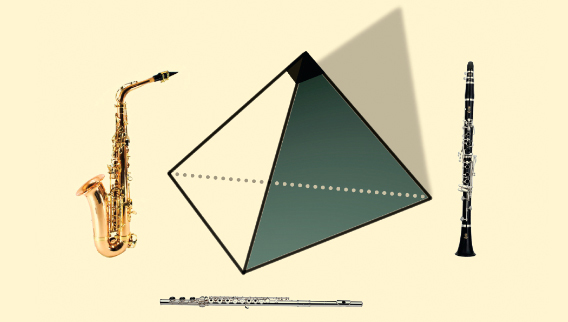 We will address only the most commonly used doublings in the woodwind family; flute, saxophone, and clarinet, but the concepts can be easily translated to any instrument. The basic premise is quite simple. Instead of practicing different exercises on each instrument, we will play the same phrase on all instruments, working in all keys, through the entire range of each instrument. This way of practicing makes proficiency on all instruments more accessible and less stressful. that time he has been performing, recording and teaching worldwide. Rhythmic Vocabulary Studies, 20 Saxophone Tricks of the Trade, How to Play Saxophone, How to Play Clarinet and How to Play Flute. Please visit mariocerra.com for more information.